This property is part of the Estepona Luxury Beachfront Apartments. Boutique development of 28 exceptionally high quality, spacious, beachfront condominiums in an excellent location between Puerto Banús and Estepona with stunning Mediterranean views. 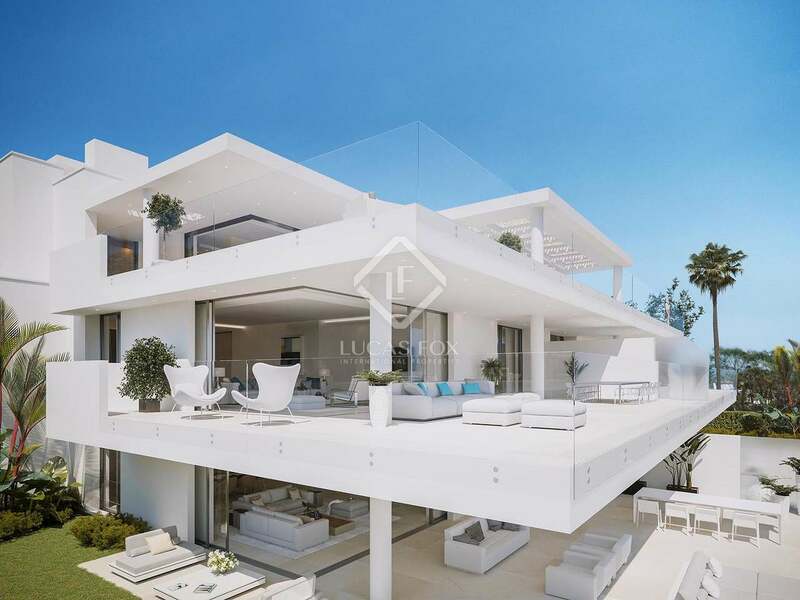 Luxury 4-bedroom penthouse property with 2 large terraces in a stunning new development in truly desirable location on the New Golden Mile, Estepona. This beautiful penthouse property is situated within a highly exclusive gated development which occupies a prime seafront plot of some 20,000 m² on the New Golden Mile. With unrivalled, uninterrupted views, this is the ultimate beach property with just 6 exquisitely designed blocks. Only the finest quality, impeccably-crafted contemporary interiors have been used within this generously sized 4-bedroom property of 674 m² with a total of 379 m² of private outdoor space. The main open plan living area, kitchen, 3 en-suite bedrooms and a large terrace are on the entrance level of the property while the fourth suite and a second terrace are on an upper level. Specially designed tiles have been used throughout the property and it is possible to view the breathtaking scenery reflected even when you turn away from the window. The fantastic floor-to-ceiling windows make the terrace a natural extension of the interior living area, filling the home with the warmth and natural light from the Mediterranean sea and sky. This ultra-high quality modern design achieves the perfect living space. This home comes complete with state-of-the-art fully fitted smart controls, hot and cold air conditioning, a natural lighting system, complete installation of a sound system with concealed speakers, and high level security to the complex and each condo by fingerprint. Each of the homes includes a minimum of 3 large parking spaces, with direct access to a private basement-storage area that is connected to the home directly by private lift. 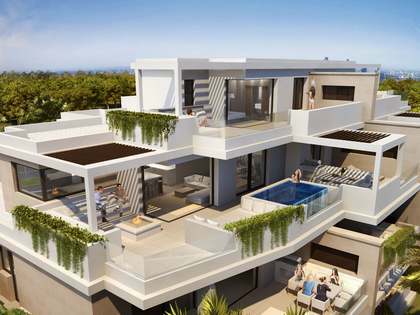 This is a project like no other on the Costa del Sol and offers a unique opportunity for lovers of this exquisitely beautiful stretch of coastline. Contact our sales team now for further details of this property in a prime Estepona development. This new development enjoys a highly privileged location on a seafront plot of some 20,000 m² on the New Golden Mile. 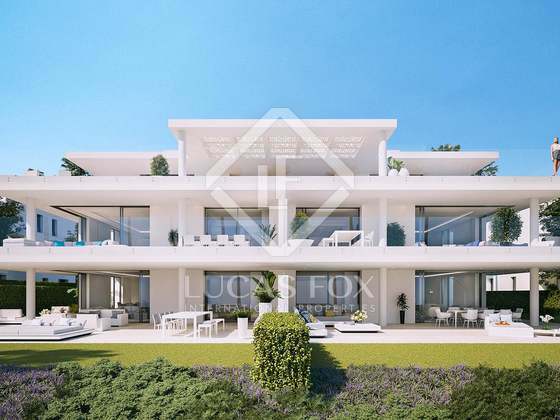 It is strategically positioned between Estepona town and Puerto Banús; ideal for luxury dining, shopping, access to the beach and nearby golf courses. It is also conveniently close to a hospital and a short drive from shops and the town of San Pedro.